CJJ Autovinco are from St. Brigid’s College in Loughrea, Co. Galway and are determined to become the 2018 F1 in Schools World Champions. Our team is a unique blend of innovation, flair and ambition allied with a vast array of knowledge and experience of the F1 in Schools competition. 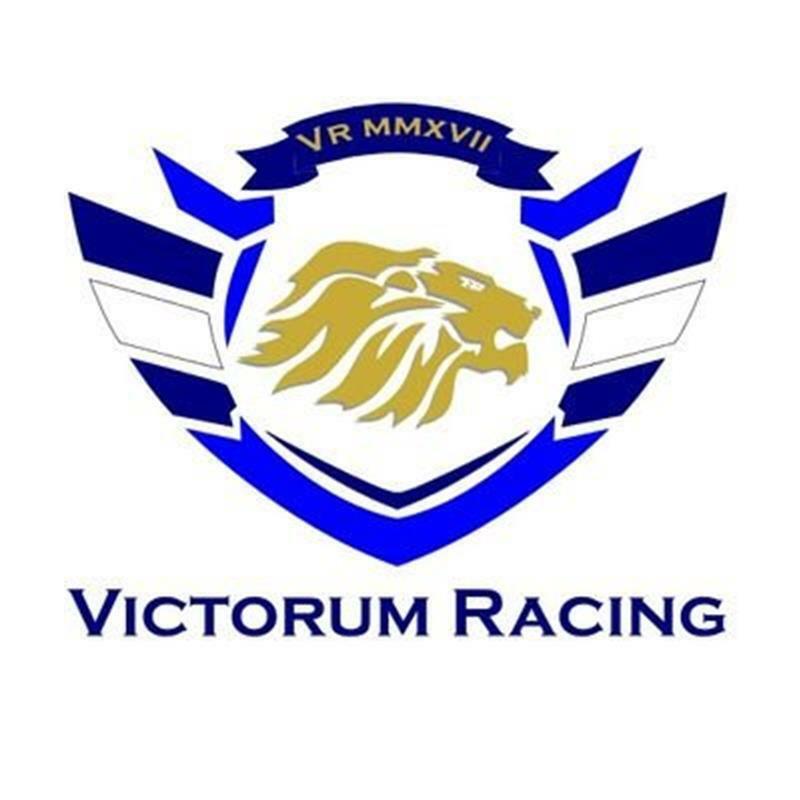 Since starting out on our F1 in Schools journey in 2016 as Victorum Racing we have consistently pushed the boundaries of the competition, bringing fresh and innovative ideas to the table at every opportunity. In 2018 our team, brand and identity has evolved and we are invigorated by the opportunity to make a major impact on the new era of F1 Motorsport and F1 in Schools. We are passionate about STEM and we believe that Ireland’s young people can lead the way globally for engineering, science and innovative thinking. Victorum Racing from St. Brigid's College Loughrea are F1 in Schools Irish National champions for 2017. They will compete for Ireland at the F1 in Schools World Finals in Kuala Lumpur from September 24th - 27th. F1 in Schools is the largest global competition for second level students, there are 20 million students participating this year and there will be 52 teams competing at the world finals from 26 different countries. The competition is closely affiliated with Formula 1 and the teams will be guests of honour at the Malaysian Grand Prix at the Sepang Circuit in Kuala Lumpur. Sky Sports lead F1 commentator David Croft will compere the whole event which will be streamed live around the globe. The team have designed, tested and manufactured a miniature C02 powered F1 car that can reach speeds in excess of 120km/h as it races down a 20meter track in just under a second! There is a massive marketing, branding and business element also, and all the guys activities are fully self financed. For the world finals, they are releasing a Music Video which will be their anthem for the world finals. Meeting Formula 1 CEO Chase Carey and a host of F1 drivers and team principles is not your regular everyday occurrence, but Victorum Racing, a team of three girls and two boys from St. Brigid’s College in Loughrea had it all last week when they picked up a major award at the F1 in Schools World Finals while ultimately falling just millieseconds short of claiming the much coveted F1 in Schools world title. 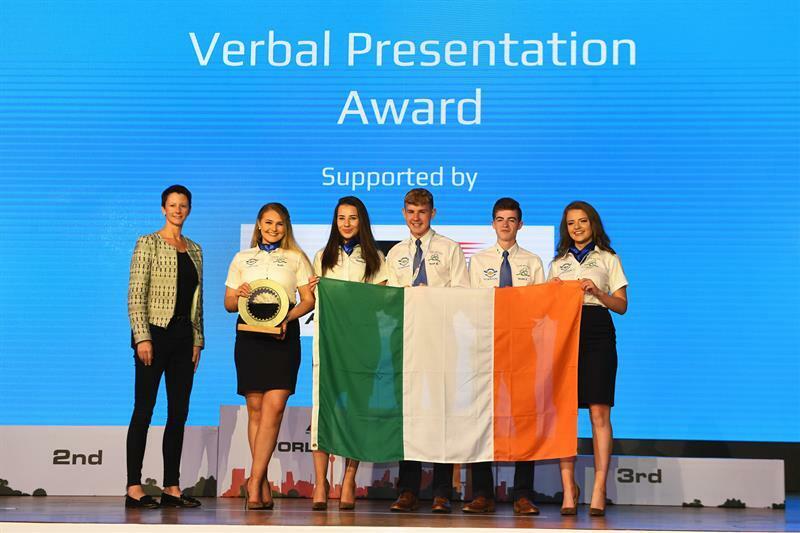 With a fourth place finish overall at the F1 in Schools World Finals held in Kuala Lumpur, the Loughrea students made a massive impression on the event, receiving nominations for all four engineering awards as well as winning the verbal presentation award. Out of 1.4 million students worldwide who participated this year and 52 teams at the world finals from 27 different countries, they missed out on a podium finish by the tightest of margins. F1 in Schools is the largest global STEM competition and its close affiliation with F1 motorsport provides students with a unique platform for developing skills in engineering, science, business and marketing in an ultra-competitive environment that replicates a lot of the key components of a successful Formula 1 team. The St. Brigid’s team have been working on the project for over a year and in that timeframe they have developed a widely recognisable team brand and identity as well as engineering a high tech C02 powered F1 car capable of completing the twenty metre race track in little over a second while reaching speeds in excess of 120km/h. For the first two days of the competition it was Victorum Racing who were making international headlines, claiming the fastest car time for almost the entire duration of the competition, with their car powering down the track in a time of 1.095 seconds. This achievement earned the team a feature article on the official Formula 1 website and it also meant that everyone was watching their progress throughout the rest of the competition, with competitors desperate to try and beat their record time. It was only at the final hour that their time was beaten and only by .01 of a second, which still meant that the team had the distinction of having the second fastest car in the world for 2017. The most impressive aspect of the F1 in schools programme is the ability to assess competitors over such a wide range of disciplines and during the course of the four days the Loughrea students were assessed on their Engineering and Enterprise content, Pit Display, Marketing and Social Media, Verbal Presentation and Computer Aided Design as well as all the various racing sessions. With the team performing well across all aspects of the competition it was clear that they were going to be in with a real chance of making the podium at the awards ceremony. With the top award winning teams in the competition getting VIP access to the Malaysian Grand Prix there was plenty of opportunities to rub shoulders with F1 royalty. As well as receiving a guided tour of the Scuderia Ferrari garage from team principles Maurizio Arrivabene and Jock Clear, the team also got to speak to Totto Wolff, executive director of Mercedes as well as a host of F1 drivers including Daniel Riccardo and soon to be four-time world champion, Lewis Hamilton. 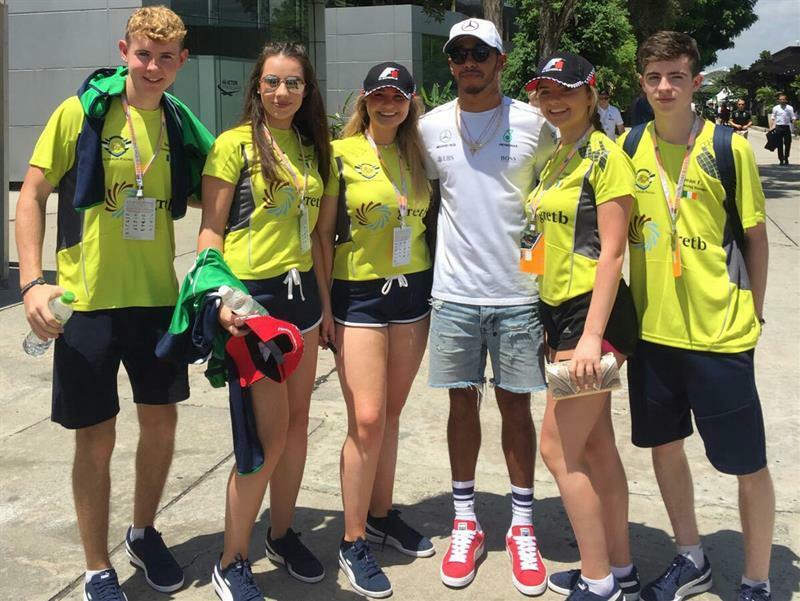 The Grand Prix experience crowned off what was an excellent week for the Victorum Racing Team where they came so close to being crowned F1 in Schools World Champions. 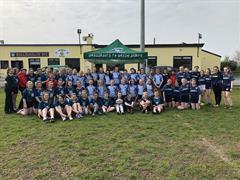 Marketing manager, Alannah Curley summed up the teams mood on their return home ‘It has been an experience of a lifetime for all of us, going to the world finals and showing that Ireland could compete with the very best teams in the world was our mission, and we have definitely achieved that. We are delighted to bring home such a major award from the finals also and that has the made the whole experience even better than we had imagined’. As well as all the hard work put into the competition over the last year the team have relied heavily on the generous support of the local community with their fundraising efforts. A huge thank you on behalf of the team must go to everyone in local business and the wider community who gave generous support, allowing them to represent Ireland with distinction on the world stage. A special word of thanks also must go to the teams major sponsors for 2017: Supermac’s, Irish Commercials, Medtronic, GRETB, AP McCoy, ABEC 357, Bank of Ireland, Avaya, Three.ie, Pulse Learning, Toyota Ireland, Institute of Physics Ireland, Intel and Dawnlough. 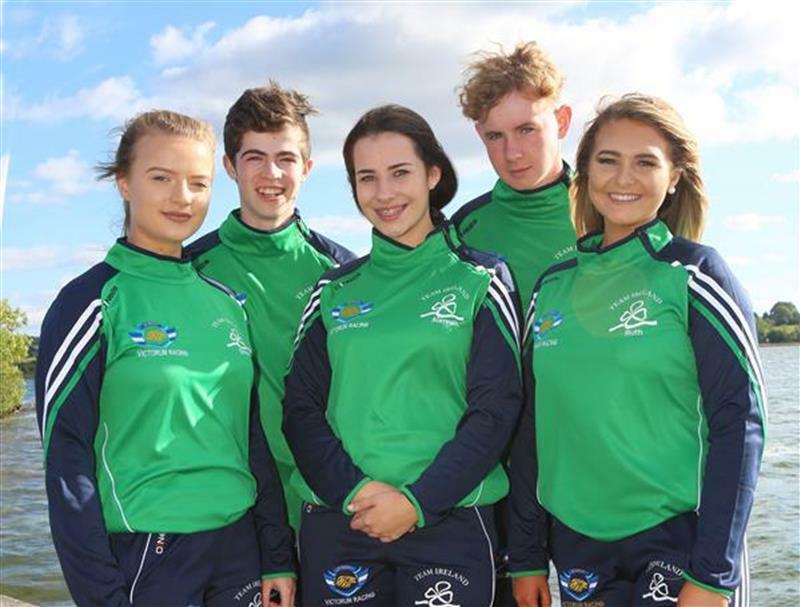 L to R: Sean Brien, Alannah Curley, Ruth Conway, Lewis Hamilton, Sinéad Kennedy, Seán Fahey. St. Brigid's College celebrated world success in October 2016 when six students from the school won major honours at the Formula 1 in Schools World Finals in Austin Texas. 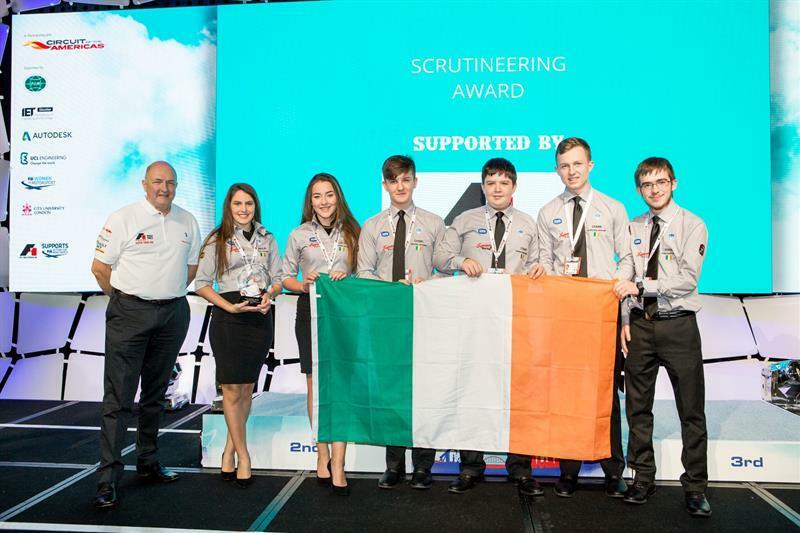 Supermac's Racing won the prestigious Scrutineering Award for the accuracy and quality of the engineering on their World Finals Formula 1 Car, beating the best teams from thirty nine other countries from around the globe. The awards were announced by compère and Sky Sports F1 commentator, David Croft, at the F1 in Schools Gala Awards Ceremony in front of an audience of some of the top dignitaries from the World of F1 Racing. This is a great achievement for the St. Brigid's students who picked up their specially commissioned trophy at the F1 in Schools Gala Awards Ceremony in Austin following four days of intense competition. Following their success, the team were guests of honour at the Scuderia Ferrari garage, where they spoke at length with the team’s top engineers, while also getting an opportunity to chat with four time World Champion, Sebastian Vettel, during qualifying for the American Grand Prix at the Circuit of the Americas in Texas. The F1 in Schools competition is widely recognised as the premier global competition for second level students. the delighted students and their teachers Mr Monaghan and Mr Cleary enjoyed their ten day experience and also attended the American Grand Prix on their last weekend in Austin. St Brigid’s College students meet four times Formula 1 champion Sebastian Vettel during a visit to the Ferrari garage before the American F1 Grand Prix at the weekend.